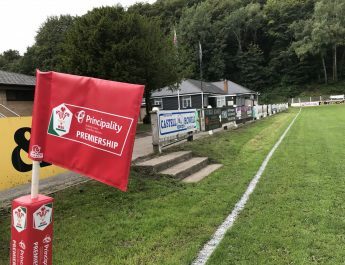 Cross Keys play their first away game of the 2018/19 Principality Premiership season this Saturday when they make the long trip West to take on Carmarthen Quins at Carmarthen Park. 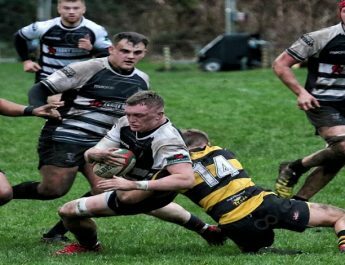 After last week’s bonus point victory over Bridgend Ravens at Pandy Park, Keys will be keen to follow that up with another win against a Quins side who will no doubt be looking to bounce back after a disappointing opening day defeat at home to Newport last weekend, when the black and ambers ran out comfortable 29 points to 12 winners. Last season Keys and Quins met on just one occasion thanks to the geographical split in the first half of the season. 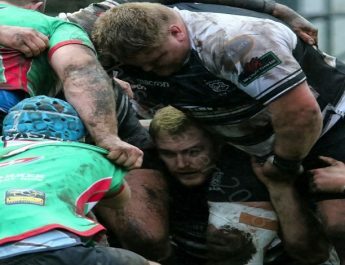 It was the Quins who were victorious when the 2 sides met at Pandy Park back in March as the visitors, who were on a fine run of form going in to the clash won the game against Keys by 23 points to 13, a victory that saw the Quins go to the top of the Principality Premiership at the time before eventually finishing the 2017-18 season in 4th place. 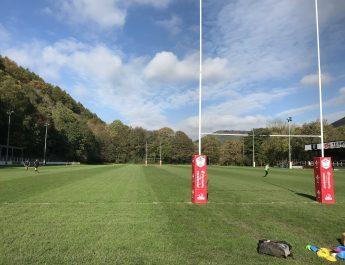 The Keys have made several changes to the side for Saturday’s clash against the Quins with a total of 5 changes being made to the starting line-up that started last weekend against Bridgend, 3 of those changes will be making their competitive debuts for Keys. In the backs there is a debut for Croatian Srdan Majkic, who joined from Ebbw Vale over the summer and he will line-up alongside Dragons’ centre Jarryd Sage in the centre. Also making their Keys debut in the backs at Carmarthen will be winger Ian Newbury who comes from a rugby league background and joined Keys over the summer. Up front just there are 3 changes to the pack that started against the Ravens last week. In the front row Dragons prop Gerard Ellis, who appeared twice for Keys last season starts on the loose head. The other changes see Harvey Reader come in to start in the second row alongside captain Damian Welch with Tom Lampard moving to the back row alongside Lee Evans who starts at number 8 and another player making his Keys debut in the shape of Joe Carlin who has joined from Risca over the summer and starts at openside flanker. Replacements: 16. Connah Vaughan, 17. Taylor Hansen, 18. Scott Hoskins, 19. Isaac Duffy, 20. Todd James, 21. Declan Williams, 22. Morgan Evans, 23. Dylan Fidler.